Beyoncé Knowles is apparently furious with Jay Z. The superstar singer and Jay have been married for nearly seven years and have three-year-old daughter Blue Ivy together. Many thought of their union as one of the strongest in showbiz, but after being hit by infidelity claims last year more and more rumours surround their relationship. 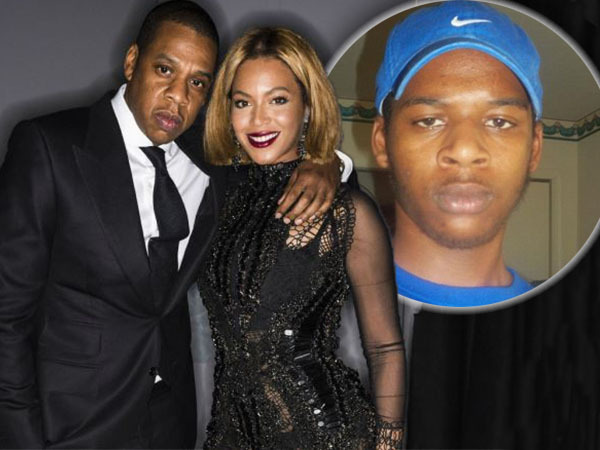 The latest allegation is that Jay is the father to aspiring rapper Rymir Satterthwaite, with the 21-year-old apparently suing Jay and demanding a paternity test. "Beyoncé is a mess right now. She's furious that she's been put in this position once again. It's one rumour after the next. Jay Z says it's not true, but she seems to feel humiliated and under a lot of strain. She's not in a good place," a source revealed to British magazine Grazia. "Beyoncé feels overwhelmed and embarrassed. She's fiercely protective of her family and wants to preserve the image of her picture-perfect marriage. It's important that Jay Z takes a paternity test to prove this latest rumour wrong so they can draw a line under it." It's also been claimed that Rymir's mother Wanda, who is said to have had a fling with Jay in the 90s, tried to get the rapper to take a test in 2010. Days after news broke, Beyoncé and 45-year-old Jay put on a united front and went out to lunch together in LA. However the show of affection backfired with many commenting on how distant Beyoncé, 33, appeared. "Beyoncé and Jay Z have been keeping it together in front of fans, but it's getting harder. She's doing everything she can to make this right, but deep down Beyoncé knows that whether or not Jay agrees to these tests, their marriage is going to be forever tarnished. Everyone is really worried for her and are unsure how much longer she can go on like this," the insider said.